Many automakers are making drivers safer than passengers. Automakers needed some time before their vehicles that could pass the Insurance Institute for Highway Safety’s difficult small overlap front crash test, but a Good score has become common after a few years. In a recent evaluation, IIHS subjected the passenger side of seven top-performing crossovers to the same evaluation, and the agency found shocking results. Only one model had identical ratings on both sides. Now, IIHS has started considering whether to put more vehicles through this check starting as soon as 2017. 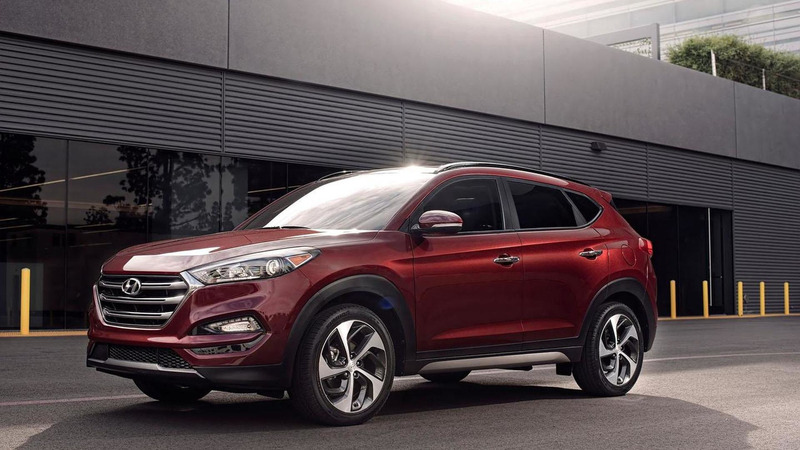 The 2016 Hyundai Tucson was the only model with IIHS’ top Good rating for both the driver and passenger side. The 2015 Buick Encore, Honda CR-V, and Mazda CX-5 scored Acceptable scores. The 2014 Nissan Rogue and Subaru Forester earned Marginal. Finally, 2015 Toyota RAV4 had Poor – the agency’s worst grade. The small-overlap front crash test hurls 25 percent of a vehicle into a barrier at 40 miles per hour. By concentrating so much force into such a small area, the evaluation is a serious check of a model’s safety in an impact. Usually IIHS only does this on the driver side, but it decided to examine the passenger side for this experiment. The IIHS didn't previously test vehicles’ passenger safety because every model definitely had a driver but not necessarily another occupant. Now the agency might change its mind. After wider evaluations next year, the agency could add a passenger score to its Top Safety Pick criteria in 2018. For many automakers, the change would mean major investments to upgrade their models’ structure, but buyers would be even more secure in a crash. Small overlap crashes pose a challenge because they bypass a typical vehicle’s main front structure. Since the test was introduced, 13 manufacturers have made structural changes to 97 vehicles. Of these, nearly three-quarters earned a good rating after the changes. IIHS conducts its tests for frontal ratings with a driver dummy and with the barrier overlapping the driver side. The reason is simple: Every vehicle on the road has a driver, but there isn’t always a passenger riding along. The recent passenger-side tests show how big the differences can be. In this group of small SUVs, most didn’t perform as well when they were crashed into a barrier on the right side instead of the left. That was even true of models that appeared symmetrical after removing bumper covers and other external components. Maximum intrusion in the passenger-side test was 13 inches more than in the driver-side test for the RAV4 and 10 inches more for the Rogue. The Rogue’s door hinge pillar was torn off completely, and the RAV4’s door opened. In a real crash, an open door would leave the occupant at risk for ejection. In earlier research, Mueller found that the most common change manufacturers make to improve vehicle structure for small overlap protection is to strengthen the occupant compartment. To do this, they might use a different type of material or add a few millimeters of thickness — changes that can’t be discerned from a visual examination. It’s likely these types of modifications were made to the Forester and CX-5, but only on the driver side. In addition to the seven passenger-side small overlap tests, Institute engineers conducted two passenger-side moderate overlap tests to make sure there weren’t any differences in performance in that type of crash. One visually symmetrical vehicle, the 2015 Honda CR-V, and one asymmetrical vehicle, the RAV4, were chosen for these tests. There was little difference from the driver-side moderate overlap tests, and both vehicles would receive a good passenger-side moderate overlap rating.